Who said low carb has to be boring!? 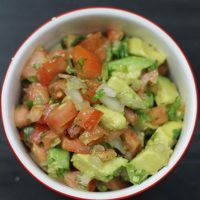 They really should be punched, this Fresh Avocado Pico De Gallo is an amazing explosion of flavor and look at those colors! Plus it only has 2 net carbs per serving! 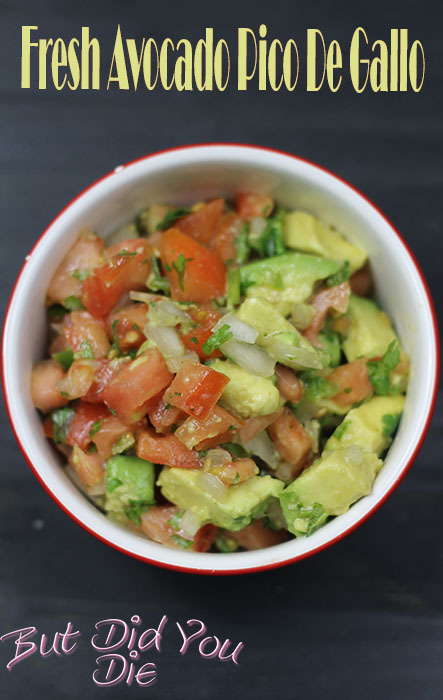 Now I bet you’re wondering, how do I eat Fresh Avocado Pico De Gallo without tortilla chips….. Well you use a fork, I ate it with this Creamy Cheddar Cilantro Lime Chicken, just ate it like a salad, and dude it was great! I have to admit when I started this woe and the whole low carb/keto thing I was a bit worried about giving up pasta and bread… Nope, not anymore I don’t even miss it! There are s many foods out there to keep you on track. Foods that are not bland, foods that are full of flavor, taste delicious and foods that are good for you! 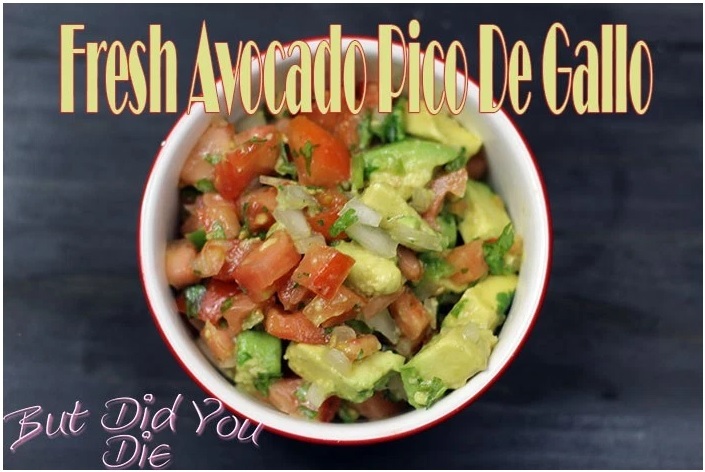 If you like this recipe, click one of the buttons up top and share with your friends. Also, follow me and sign up for my newsletter, so you never, ever miss an exciting recipe or post! Creamy Cheddar Cilantro Lime Chicken Only 3g Carbs!